Tinder co-founder Justin Mateen announced in 2014 that over 7 percent of Tinder users are between the ages of 13 and 17. Because the app requires a minimum age of 18, younger users post a fake age on their profiles. A recent TKC survey found 20 percent (63/318) of KHS students have created an account on an online dating app such as Tinder, Match and Grindr. Wanting to surprise herself on her eighteenth birthday, she decided to make some riskier plans than usual. Sophia*, senior, pocketed her pepper spray before sneaking out to a bowling alley to meet a boy she connected with through the social networking app Tinder. Because this was her first time meeting him in person, she sent the details of her plans to three close friends and asked them to contact authorities if they did not hear from her in a few hours. Sophia then found that the bowling alley was closed, but she said she suspects her Tinder date knew this all along. He suggested they sit and “chat” in his car instead, and from there, the date continued. Tinder is a platform designed to “match” two people with similar interests. Users can fill their personal profile with photos, a brief written bio and music they like. Then they can browse users nearby, swiping left to dismiss a profile and right on a profile they like. If they are liked back, the pair can message each other and decide whether to meet up. In an interview with “The Guardian,” Tinder co-founder Justin Mateen said they simply intended it to connect two people for a wide range of purposes, not exclusively hooking up. Mateen announced in 2014 that over 7 percent of Tinder users are between the ages of 13 and 17. Because the app requires a minimum age of 18, younger users post a fake age on their profiles. A recent TKC survey found 20 percent (63/318) of KHS students have created an account on an online dating app such as Tinder, Match and Grindr. Senior Hailey* has been on five dates with a 23-year-old man she met on Tinder. Both Hailey and Sophia take precautions to avoid dangerous situations when meeting strangers. After initially connecting with Tinder matches, both said they use Snapchat to communicate. Because Snapchat does not allow users to send pictures from their camera roll without the recipient knowing, Tinder users can prove they are not a catfish, someone who develops a false persona online using stolen images. Hailey said she has gone on around four first dates after chatting with each match for roughly one week. Hailey said there are a few people she regrets meeting from Tinder, such as someone who picked her up high, an hour late and with only 45 minutes to spend with her before he had other plans. Another time, she discovered a supposed 18-year-old she had been talking to was actually 14. 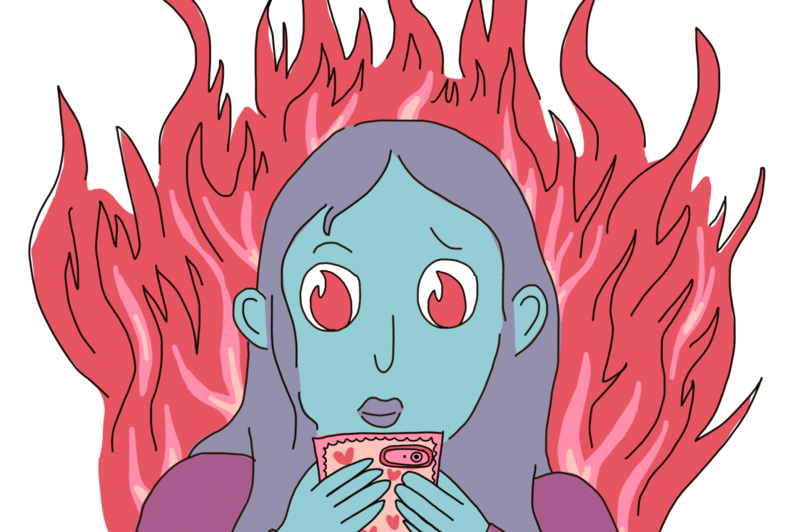 Sophia agreed Tinder can serve as a perfect platform for negative behavior. While users may stray from the app’s intended purpose, Tinder reports an average of 2 billion matches per day in 2018. This aligns with the founders’ goal of providing a service to allow people to connect with others outside of their everyday social circles. This story was originally published on The Kirkwood Call on March 11, 2019.